how does root + restore work? Root + Restore is an 8 part workshop that addresses some of the most common issues that small business owners and creative entrepreneurs face from a mental-health standpoint. Who are you? What makes you tick? The first section of Root + Restore allows you a chance to share a bit about yourself and why you decided that small business ownership is right for you. Your personality type can say a lot about who you are and why you have the preferences you do. In this section we dig into your personality type and how it can affect how you run your business. Personality Assessment and definitions used from 16 Personalities. We are all insecure. We all have that one thing that we wish we didn't struggle with, but we do. We SO do! Engage in a powerful exercise that confirms, once and for all, you aren't alone in this. We all have a powerful tool that we can use to make or break us. Self-talk has immense power to determine the journey you take. How will you use this tool to navigate your journey? Do you have that one person that you look at as a measuring stick? It could be Beyonce or the girl sitting next to you in the coffee shop. 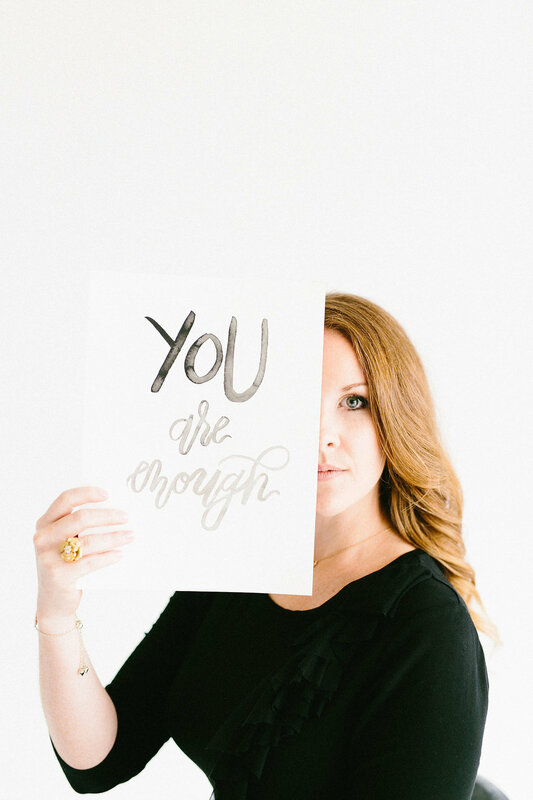 Dig into why comparison can be harmful to you sharing your true voice with the world. i achieved success, now what? Have you ever looked in the mirror and felt like the person looking back at you was a fraud? If people knew the real you, they wouldn't admire you so much? Let's talk about how to handle success when you reach it. Give yourself permission to take care of you. Powering through your to-do list is all the rage and can be very appropriate. However, sometimes taking a step back to create just to feed your soul can be just as effective in the long run. community: what's in it for me? Surround yourself with people who are not only kicking tail and taking names in their own business, but who are also wanting to cheer you on in every aspect of your business. The Root + Restore community has been through the same content, so they genuinely celebrate the good, understand that the bad won't last forever and aren't afraid of the ugly. These are your people.